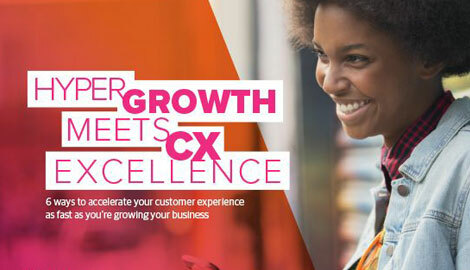 One can’t help but notice how many companies tout themselves as customer experience (CX) leaders. A performance marketing firm claims CX supremacy through their data and digital prowess. A provider of enterprise feedback management software approaches CX by measuring and improving customer satisfaction. Loyalty firms and contact centers have planted their flags on Mount CX, and every major consulting firm is getting into the act. Leaders understand that they need to transform the overall customer experience in order to drive revenue and loyalty, but which path do they take? More than two-thirds of marketers say their companies are competing mostly or completely on CX, reports Gartner. It’s no wonder why customer experience transformation is a top priority for many businesses. This is an era where customer loyalty is no longer simply based on price or product. Instead, customers are loyal to companies that understand their needs and expectations and deliver an experience that’s personalized, frictionless, and convenient. And as the widespread store closings suggest, if a company can’t keep up with customer demands or fails to deliver the right experience, their customers will flee. In fact, research shows that customers will leave a company because of one bad customer service experience. On the other hand, customers who had a great experience with a brand are willing to spend 140 percent more than those who had a poor experience, according to research published in Harvard Business Review. With that said, creating the right customer experience is easier said than done. A critical step is to think beyond silos. An agency may be fantastic at converting leads and providing a seamless digital experience, but what if customer service is the client’s biggest pain point? Or a firm could make a significant CX investment, but still lose customers in droves if their advisor is only examining one symptom of a larger issue. These are often perceived as separate CX disciplines, each with different technology stacks, customer bases, and subject matter experts. I have always questioned why this is the case. Each sector uses data (structured/unstructured), analytics, and measurement to optimize a given experience. They all seek to improve a phase of the marketing funnel or retain/grow lifecycle. They also have clients in common, fighting for business across different departments and budgets. Identify the Problem: Before an organization embarks on a CX effort, gather a cross-functional team to get all of the issues out on the table, from lead gen through loyalty. Define what “CX” means to you before engaging further. Treat Data as Data: You have a marketing data warehouse, you have digital event data, you have structured, and unstructured sentiment and device-generated data. Think about how you can combine these data sets to personalize interactions and customer treatments. For example, you should know who your best customers are, which ones are your fans (via sentiment), which products they need, and how engaged they are with your brand. Don’t Get Stuck on Acquisition: Make sure your chosen partner (or partners if you are combining the effort) have expertise in the full breadth of the customer lifecycle. Your partner should have a methodology for uncovering customer needs; they should understand both the marketing, sales, and service aspects of the business; they should know the technology landscape and be able to prescribe integrated strategies to drive customer growth, retention, and loyalty. There is a lot of exciting work occurring in CX today. AI, machine learning, and cloud technologies are teaming up to help companies measure and manage customer behavior in real-time. Predictive contact center analytics tools are making it easier for companies to proactively delivering great customer experiences. And senior leaders are beginning to support innovative customer experiences as an enterprise-wide endeavor, rather than just a departmental project, to create business success. Therefore, homing in on your CX objectives and goals while maintaining a collaborative mindset will go a long way in realizing the profits that CX has to offer. Customer Journey Maps: Which Framework is Right for You?